There will come one day in the future. Relatively and astronomically speaking, it might come sooner than we think. It could happen way before we realize that there is no turning back. The day when mother Earth will simply say - sorry guys, I have no more energy to sustain this kind of life anymore and when most of biodiversity cocoons on Earth will reach the ultimate hazard and start imploding back into themselves. Air and water pollution will help a lot and not even planet's regular motions will be able to take us into another interglacial cycle. It is as much inevitable as what we are going to do next. We will take a long look toward the stars and say: "Well, we have to do this sooner or later. It's time to leave the Earth. Time to jump into Christopher Columbus's shoes again. And find the new home." But we will not get far. There will be no warp drives, "phasers on stun", robots, AIs or artificial gravity like in Sci-Fi blockbusters and there will be no scientific breakthroughs that will bring Moon or Mars gravity to the comfortable number of 1. No, we will be completely helpless in all our efforts to terraform other planets and gas giants' moons. Not at first. Or fast. Or to make large asteroids to rotate. Or to initiate Mars' core to fire it's lost gone magnet. Or to make Venus to act little less than hell. No, there are good chances that this day will caught us completely unprepared and we will be forced to, like Colombus, make one giant step into unknown. And learn on the way. This journey will definitely be very difficult in the beginning, but like any other endeavour, after first steps it will become handy and enjoyable. So let's think and see where we could go, how we will survive and what we will become after few or more generations. Let's start our travel from the Sun with Mercury as our first stop. Or to be precise we could skip this stop whatsoever. Mercury is almost gravitationally locked by the Sun, meaning that it's three days last almost two planetary years. That is bad, as during the daylight, temperatures goes toward 400°C while the other side of the planet goes deep below -100°C. Perhaps we should wait for the Sun to completely lock the planet and hope that we can build some domes within the narrow ring between the day and night with hope that couple of suitable terrains will be able to provide normal temperatures. Life on Venus is also as impossible as it seems without at least basic form of terraforming. I am keep wondering what exact misfortune or planetary billiard game in the past made Venus to be the only planet facing upside down comparing to all other planets, but whatever it was, followed by another armageddon that left Venus with extremely severe greenhouse effect, establishing colonies on Venus surface is a mission impossible. Maybe some floating settlements in the high altitudes can be the way to start with, but its a shame - the Venus' extremely suitable gravity which is almost the same as in here on Earth is the only planet in Solar system that could cause almost no transition or health hazards for the colonists. As soon as we figure out how to get rid of the CO2 (and use it to make fuel in the process) on a large scale, the better. If we find the way to do it, we will get the Earth twin just in the right neighborhood and with similar gravity. Personally I think terraforming Venus has way better chances to be effectively done than terraforming Mars, simply because in this case we might only need to drop lots of CO2 eating life forms or chemicals and wait, while on Mars it might be way complicated. First colonies on other Solar system planetary bodies, that can be done almost today, could be built on Moon and Mars. They are both close by and in suitable places, with nearby natural water sources or supplied from Earth. Large dome-based colonies can be able to sustain millions of colonists right away. 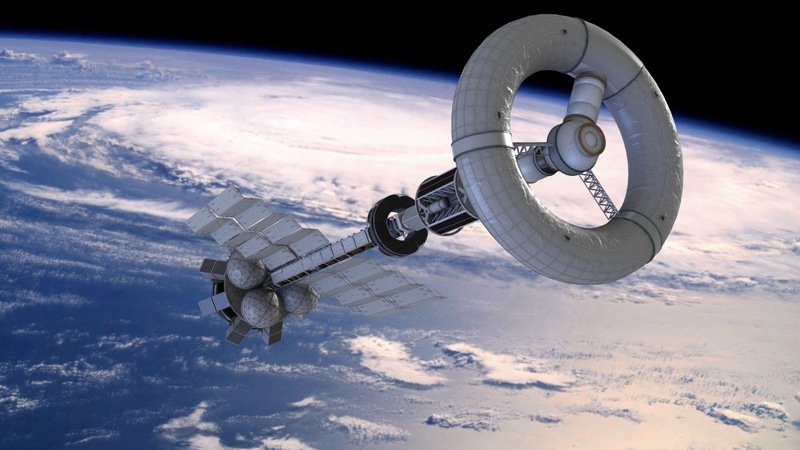 Yes, they have to be built with radiation shielding and they would probably be dependable on frequent supplies from Earth in the beginning, but it would be a good start. Just, like in case of artificial biodomes of Eden in Cornwall, settlements on Mars and Moon, if we exclude low gravities, could be able to provide everything needed with a closed biodiversity and a liberty to project the one colonists will need or want. For example there could be different domes on Mars and if you would like to move there with your family you could be able to chose the climate you used to here on Earth. However, creating settlements on the surface of orbital bodies, assumes condemning future colonists with severely lower gravity from Earth's (~0.38 for Mars and ~0.17 for the Moon). As much as I like the plot and described humans who were born in colonies in 'The Expanse' franchise, created by Daniel Abraham and Ty Franck, actually to the date there was no any sustainable research on how low gravity affects human body on the long term. For what we know, it causes bone demineralization, muscle atrophy, immune system problems and other complications throughout the body. We simply can't test low gravity on animals or humans here on Earth and what might happen to various systems - including reproduction, at the moment are in the realm of (scientific) guesses. But, logically speaking, on planet surface with lower gravity, evolution would probably modify human body, as on Mars, for example, we would not need that amount of muscle activity to support simple things, like walking around or lifting heavy things. For the same reasons, human heart doesn't need to work that hard in order to cope with gravity force and pump the blood to the farthest cell. If you add NASA research on IIS, that hints astronauts can grow up to 3 percent taller during the time spent living in microgravity, it is more than valid assumption that future colonists living on the Moon or asteroid belt, like detective Miller from Ceres or Rocinante executive officer Naomi Nagata, would indeed grow around 7' or more and be very thin. So there you go, if you plan to move to Mars, you can, with decent amount of certainty, count on the fact that your descendants will not look anything like you. If you will be able to make kids at all. In natural way, that is. Well, whatever happens with gravity difficulties and other hazards of moving to surface, we still have one more option. To build orbital stations, space harbors, construction sites and all other types of settlement around Solar system planets and moons. 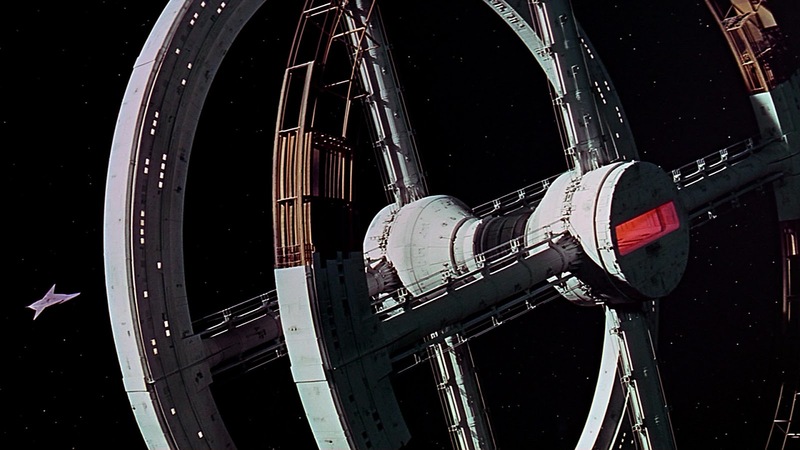 Rotational wheel stations, just like those from Kubrick/Clarke space odyssey from '68 (very nice year), would be able to resemble 1g with centripetal acceleration. How big station would be in radius and how many rotations per minute is necessary to create Earth-like gravitational force, it can be calculated with relatively simple equitation: a=ω2r, (a-9.81 m/s2, ω-angular velocity and r-radius of the station). There is a very nice calculator made by Theodore W. Hall you can try and see the real numbers. Perhaps one more hidden advantage of building orbital cities is in the fact that, well, we would not need rockets to lift off the planet or to take down all those gravity wells every time we want to visit relatives who live on another planet or moon. Building space docks and air locks are way simpler and not that dangerous compared to entering Earth or Mars atmosphere with 20.000 kph. Well, I started this post with travel from the Sun and perhaps now is the time to move further from Mars. So, let's see what is beyond Goldilocks zone and why bother to go to the outer system where the Sun is just one more bright star on the sky. For example the Sun seen from Titan or any other Saturn's moons would be smaller in apparent size than Venus seen from Earth. But, we have to conquer that part of the system simply because the water is there. In vast quantities. Just like in "Leviathan Wakes" prediction, collecting ice from Saturn's rings or from gas giants' moons could be essential for all life throughout the system. And water is everything - the drink, the food, the fuel, the air. In the potential future of habitable Solar system the large number of spaceships could be giant automated robot-craft that will be 'mining' water in the outer system and deliver to the settlements. Besides, lots of moons from Jupiter and Saturn could also harbor life domes and perhaps the most interesting one is Ganymede with its protective magnetic field and layers of oxygen in its atmosphere. ESA has plans to launch probe toward this mighty, tidally locked, Mars-sized moon and then we will know much more. One more region of the system is also extremely interesting and it is not very far. The asteroid belt between Mars and Jupiter is a place of four protoplanets or large asteroids: Ceres, Vesta, Pallas, Hygiea and more than one million of smaller rocks larger than 1 km in diameter. The belt is probably old remains of one potentially planet that failed to form due to heavy gravitational attraction from Jupiter and in the future it will be our endless source for everything we need in form of raw construction materials and ore. This would probably be industrial zone of entire Solar system and there is no doubt that many corporations are already dreaming of getting there before everybody else. Finally, the last (and the weakest) link in the chain called life in Solar system is traffic and communication. It is obvious that most of interplanetary spacecraft's propulsion have to be nuclear. For all we know today, it is the only way to travel on long distances within days and weeks instead of months and years. However, the speed of spaceship is not really limited by the engine used. We can make a super fast engine that can reach Ganymede within hours, but it will have to use trust so tremendous with more than 10g during long acceleration periods and that could be fatal for most of the people inside. There will also be lots of braking maneuvers while establishing stable orbit and no centripetal force in wheels will be able to compensate. And there will be no open deck where you will be free to lean over the fence and empty your stomach into sea.. Well vacuum of space in this case. As for the communication, the limit is Einstein and speed of light, which means, well, no Skyping or internet between Jupiter and Earth. We will have to get back to the old fashion mail and all sorts of asynchronous communication. Life in space will be cruel and harsh, but also full of challenges and with no boundaries like we used to here on the ground. Here we are taking life for granted. We don't appreciate enough simple things like air and water for instance. In space they will be precious. Maybe this will help us to start worshiping real values instead of superficial ones. Today, on Earth Day, April 22, 2015 and also my son's eighth birthday, at least it is allowed for me to be a little bit more sentimental and hope that this life will come true within next couple of decades and maybe he will have the chance to celebrate one of his future birthdays in some orbital station around Saturn. If nothing else, the view will be immensely and tremendously beautiful.